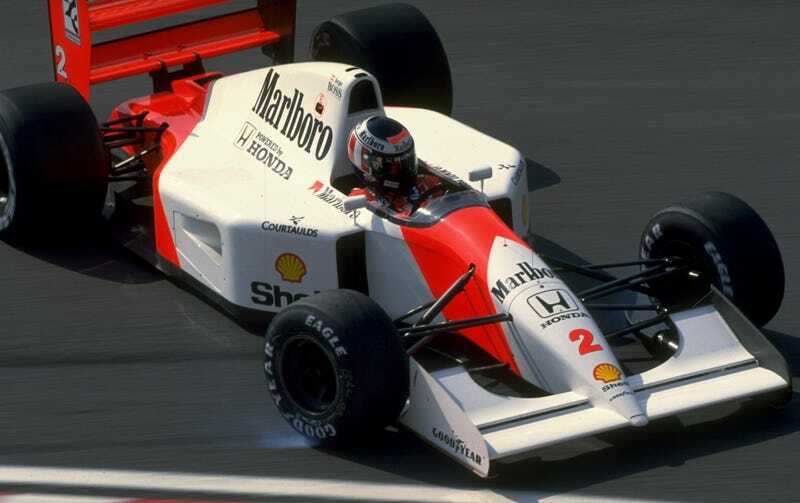 This is Gerhard Berger, aka that other guy in all those Senna videos you watch, as he gets an armful of oppo in the '92 Japanese Grand Prix. When it comes to the ultra-grippy confines of modern F1, sideways isn't fast. That's why it's so rare nowadays and that's why it's so satisfying to watch. And hey, Berger ended up finishing second in the race so whatever.